This is a short video review of a small "test-size" set of Derwent Inktense Colored Pencils, which I discovered after searching online for Vegan-Friendly art products. How Vegan-Friendly is Art, Architecture & Construction? How can a person live a Vegan lifestyle in the built world? How can an architect design a more Vegan-friendly world? This is the topic I'll be taking on in a new video blog series where I'll be sharing my feelings learning and sharing resources about Vegan-Friendly Design. How realistic is it to evaluate and replace everything in our houses (and maybe some things in the house construction) with Vegan stuff? Would it be better to just learn how to change, so we can move forward with better ways of designing and constructing Vegan-friendly communities for the future? Sweets Construction Catalog search for Vegan with No Results! After getting feedback on the Money Reiki Level II (Master Level), I have chosen to drop back to Level I (Practitioner Level) instead of moving forward to Level III (Grand Master Level). This is partly because my clients were telling me that the energies were very nice in the beginning, and not as good after the second attunement, which made me feel that not only was I not a Master of Money Reiki in my own life, the Money Reiki stopped being entertaining at that level for my clients as well. Looking back and reviewing Levels I and II, and looking forward as I read Level III, I chose not to attune at the higher level...now or in the future. The reason is that, purely in my personal opinion, the author Stephanie Braille put so much thought and good ideas into Level I that it really stands on its own as a complete system. There is also the question of graphic symbols. I feel that, again my opinion, the author is very talented at uncovering foundational issues and dealing with them in a realistic writing style, yet the symbols created by the author are not resonating with me as strongly as did her rhetorical theories and practical ideas. When you consider that the Master of Reiki, Mikao Usui, spent years researching a handful of ancient graphics, it's really difficult for contemporary authors to compete on that level. Unfortunately, in my view, levels II and III of Money Reiki manuals have more symbols than I cared to memorize, and fewer more developed concepts to work with. A look at my video showing me working with those symbols, and attempting to make sense of them may underscore this for you. So, for me and my clients at this time, Level I it is...and I don't plan to use the symbols from Level II or III Money Reiki now, or in the foreseeable future...not because there's anything wrong with them. It's just, based on my experience and what my clients have said, it doesn't appear to be necessary for us. Despite avoiding higher level attunements, I found the material itself to be worth reading over and considering. For example...the idea of negativity, negative entities, jealous people, and so much more that sometimes gets involved in money issues. Again, Ms. Braille is very adept at explaining these concepts as a talented, writer who is easy to read and understand. Fortunately, there are plenty of talented Reiki system authors in abundance, as well as websites that package perhaps the most helpful of these systems together. As an example of a less renown Reiki author, Ali Afnan provides a very helpful, general symbol in his concise yet informative Negative Entities Clearing Reiki, to which I chose to attune at Practitioner Level IV so that this symbol would become easily available for use in dealing with Money issues...or any other issues. So..the basic practice, graphics and extra info may come from several different authors and systems. So far so good. Back to Money Reiki...Level I included a single symbol, the USD symbol $, and the author suggested experimenting. I felt her theory was very good despite the symbol somewhat lacking in ancient origins and the extensive research of the traditional Usui Reiki symbols. I am trained in design, so maybe I'm sensitive to visuals. So I am now working with a very simple, cohesive idea for symbolism. I notice that most (if not all) contemporary currency symbols include one or two parallel straight lines: Either these are vertical lines, like those added to the letter S for the American dollar sign $. A great many more have horizontal lines, like the Indian Rupee derived from the letter R ₹, the British pound made from the letter L £, and the Euro made from the letter E €. The vertical line, crossed with a horizontal line, makes an equal armed cross +. 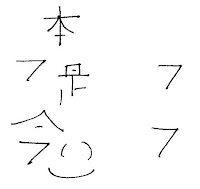 This is of course a very ancient symbol...more like the Usui symbols came from traditional sources. The vertical line | symbolizes the path of travel between spiritual and physical money...what is received on a spiritual level, and the thanks given in return. The horizontal line - symbolizes the exchange of money between people on a tribal level of commerce. When the vertical and horizontal lines are doubled, as they are in many international currency symbols, the equal arm cross + becomes a hash tag #. What's nice about all this, is that these symbols work in numerical contexts, with the equal arm cross being the plus sign of addition and increase +, the hash tag being the symbol for numbers #. Suddenly, the symbols have context, international significance, and ancient origins. So, long story short, I feel that the Reiki of Money symbols are more basic and international as symbolized by the equal armed cross + (or hash tag #) rather than all the different currency symbols of the present day. Whether this works better for me, or for many more people, is yet to be determined. I am sharing this idea as someone reviewing the system, and who has communicated with a mentor. This idea of mine is intended to simplify the symbols considerably for Level I Money Reiki and streamline the effectiveness of Reiki of Money sessions as a Usui Reiki Master. Reiki ... the study and practice of ethically harnessing and applying universal life energy for the purposes of improving our lives ... is fairly easy to learn. Legend tells that Master Usui uncovered ancient symbols which accessed the energies. The symbols, once considered secret and esoteric, have become part of mainstream new age culture. Where did these symbols come from? Most Reiki courses explain that Master Usui discovered the symbols after years of searching through ancient documents, and received enlightenment on what they meant and how to use them through a personal spiritual epiphany. Most students of Usui Reiki accept and memorize the symbols as provided in the coursework, often becoming practitioners, Reiki Masters and teachers. Many other students of Usui Reiki move beyond the traditional system and create their own versions of Reiki. These new versions of Reiki often address the treatment of various natural issues, incorporation of many different spiritual paths, and the pure enjoyment of sharing wonderful ideas and creativity...as well as often including simpler, easy-to-understand, new symbols. The simplicity of the newer symbols, along with the distinctly Japanese flavor of some of the original symbols, leads me to return to traditional Usui Reiki with new eyes. What do these symbols communicate to us, on a global level, and how may the more complex among these symbols be simplified? In my opinion, the first symbol is very evocative of ancient artwork, invoking the spirals of labyrinths and crop circles. Indeed, the symbol is of the universal life energy; an energy known to ancient and contemporary people. The essential element of this graphic is the spiral; a form known in nature and well expressed in the shells of snails and creatures of the sea. This form has also been used in contemporary Goddess iconography to symbolize the feminine womb and possibility of conception. This is the symbol of the origin, possibility, and the unexplainable life force that is given by divine sources. It is a gift from a higher power, and it is the primordial symbol of Reiki; that which is invoked as Reiki is "turned on" and thanked for its presence as Reiki is "turned off" during any session. 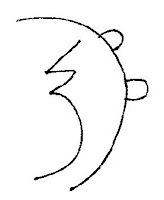 The second symbol, apparently less ancient in form, is an abstraction of the belly and breasts of a pregnant female filled with prenatal life. This symbol of a healthy baby growing and lovingly cared for in the womb symbolizes a protective emotional environment, and the soothing care of an expectant mother. This symbol speaks regarding incubation and protection of emotional needs of the living; love, hope, dreams, disappointments and aspirations. After these two symbols come two very stylized symbols which, to my American eyes, seem very Japanese in flavor. Memorizing these symbols was a labor of love, rather than one of cultural appropriation. However; their form is not intuitive at first glance. The first of these symbols is an extremely helpful series of forms which symbolize dimensions of traversing distance; the ability for connection despite global separation, time travel to the past and the future, and perhaps space travel for those so inclined. Like any complicated machinery, the symbol is complex. This symbol, so strongly styled as Japanese in my opinion, speaks volumes of complexity to a global culture...and, again in my opinion, may be even more accessible and useful globally were we to simplify the image to its most basic form. As an Architect, trained in graphic arts, I look for a repeated pattern that tells the story...and I find two pointers looking in the same direction. In effect, it's the opposite of a yin/yang symbol in which we typically see a balance of opposites. Here we see a duplication of uni-directional travel. 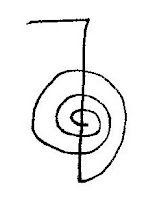 The traditional Reiki symbol is on the left. 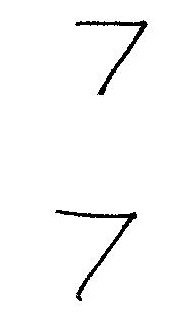 On the right are the two pointers derived from the symbol. Can you see the pointers in the original symbol? 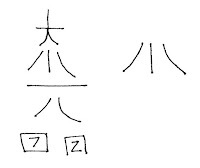 Our complicated Japanese symbol about distance becomes a simple representation of two pointers in alignment, similarly directing a focus toward a different location. This becomes a more global communication symbol, of similarly global ancient origins. It speaks to us of being in one place and looking in alignment toward another specific place or point in time; in alignment, perhaps, with a higher power. Here is my suggestion for a simplified graphic representing distance. And the final symbol; a symbol of supreme power, is also highly stylized and, in my opinion, appears as a very Japanese style graphic within the traditional Usui Reiki system. This symbol, although not quite as flexible and useful as the previous symbol, is intended to evoke the supernal divine higher powers of spirituality within its imagery. It speaks, in a grand way, of power descending from above, and gently filtering down to us here on earth. What the two boxes at the base symbolize is not entirely clear to me, as a person with some knowledge of Germanic runes, because the orientation of what appear to be letter figures within the boxes is not necessarily the most auspicious. This symbol, fortunately, lends itself easily to simplification. Again, I look for hints repeated patterns and I see several repeated motifs. On the right is my suggestion for a simplified version of this traditional symbol. Looking above the two boxes, do you see this pattern? The simplified symbol I am suggesting appears to resemble a simple ancient Celtic icon which symbolized the rays of the sun as a divine force of nature; the sun has represented divine power since time immemorial. Similar symbols of sun rays may also exist within other ancient cultures too. Here is my suggestion for a simplified Reiki symbol to the left, alongside a traditional Celtic symbol for the sun's rays to the right. Can you see the similarity? If these simplified symbols resonate strongly with the Universal Life Force Energies, as well as the original Reiki ethics and teachings, it may be appropriate to simplify the complicated Japanese style traditional Usui graphics, creating more globally understandable images. This may assist us to release any fears of cultural appropriation and open the path to more easily understand and globally unify in our understanding of the underlying ethical intention included in traditional Usui Reiki teachings. In my opinion, memorizing esoteric graphics has far less value than learning how to put divine life energies to work in ways that are beneficial to us all. 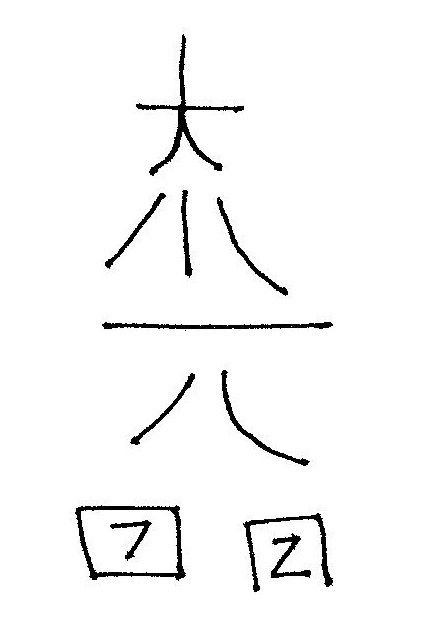 The graphic below shows two simple traditional Usui Reiki symbols, and two simplified symbols derived directly from the illustrated teachings of Usui Reiki. The simpler symbols are shared with the intention of being very easy to learn and relating fairly to the ethical and effective international practice of Usui Reiki by those who have studied and attuned globally to traditional methods. Join my Reiki of Money tribe! I know you don't have a lot of time to read through a long blog post, so let's get to the point. There are two classes of money: big money and little money. Little money is metallic; silver, gold and copper. It's the coins that jingle around in your change purse or pocket. Big money is white; the color of paper money, written contracts and checks. Here in the USA, green is often thought of as the color of money. Oddly enough, when we visit other countries, we discover they don't necessarily have the same color of green money. Some countries have very colorful money. A google search for international currency image brings many beautiful photographs of money in many different and vibrant shades of the colors of red, orange, gold, green, blue, and purple. And, yet, one thing all these bigger international currencies have in common is the white paper they are printed on. Indeed, white is the color of big money all around the world, and when money from international clients arrives in my PayPal account (accessed via a white text field in my browser) it spends just as good as the old greenbacks ever did. Just for today, maybe I won't think of money as being so much green. Green is, after all, a color associated with envy as much as it's associated with growth. White, in contrast, is a color of divine aspirations, thinking in the clouds, and light coming from a higher power. White, truly, can also be a color of money. Maybe I'll think about that today, as I wear a white shirt, turn on a white led bulb, and type these words on a white page. A video of something I built for my Reiki of Money fans! I now have an angelite plate to assist in channeling higher vibrations. Angelite is a natural crystal that is believed to attract calming, higher energies. According to The Crystal Vaults, Angelite's metaphysical properties assist in solidifying temporary situations. This may be an asset for people who desire stability on a current job, or energies to recognize and remember reaching an important goal. This angelite beauty was found at a local rock and mining shop in the High Desert, along with a wonderful assortment of smaller stones I have placed in a crystal grid before empowering it with Reiki symbols. The angelite plate is set into a crystal grid in a star hexagram pattern during the waxing gibbous moon, and will stay in a grid during the full moon and afterwards for total of twelve days to symbolize every month of the year. At the end of the twelve days, in time for monthly distance sessions, the angelite plate will be empowered with the traditional Usui Reiki symbols. It will then be ready to represent the attraction of higher energies. The hexagram star is a two-dimensional representation of the merkaba symbol of balance. Hematite, a grounding and protective stone associated with magnetic energies, is placed around the angelite in this pattern to balance higher energies with the earth plane. Next, clear quartz is placed at the three points beyond the hematite, in a pyramidal triangular pattern, for stability, security and balance. Clear quartz is a powerful crystal that has traditionally been used in everyday objects like radios and watches. Its presence in the grid is to empower its use for the higher good. Aventurine is placed at two points to the upper left and the upper right. Aventurine is a green stone that represents gentle growth and prosperity, and is believed to balance energies on all levels, to promote confidence and leadership qualities. Citrine, a stone of wealth, is placed at the lowest point in the grid, forming an inverted triangle with the two aventurine above. An inverted triangle may symbolize a cup to be filled or a funnel of receiving. Citrine is a stone that has a valuable and unique quality that transmutes negative energy. It was a beautiful day, one spring day in 2000. I was living in the only two-story rental house on a street in Santa Ana, and some of the neighbor girls clambered up the rickety wooden stairs and played on the porch. From that view, it seemed you could see for miles. Whatever a mile is to a little girl. Three, four, five houses or more, all the way down the street. Bird's eye view. I didn't notice at first, that I had some visitors on the porch, and it really didn't matter that they had chosen my second story view to enact whatever scene they were playing at the time. The community had neighborhood watch, and what with all the professional housewives on the scene, I was pretty sure someone had a clue where the kids could be found. As for me, I kept to myself. Single white girl in a Latino neighborhood, and living in the tallest house on the block. For one of the last peaceful periods in the lives of many of us, my status as a respected neighbor was secure. Someone kept a rooster, who gave the alert when it was time to wake up. We all woke up together, regardless of who was on what shift. It was just that kind of neighborhood. Nice. Safe. Pleasant. I didn't notice the doll until nearly dark. One of the neighbor girls must have left her. Little baby doll, wrapped up in a striped brown blanket, tan skin and eyes that close when she lay down. I felt sure the girl would miss her. But, in the afternoon's adventure, would she remember where she left her? Surely, I did not know how to return the doll, and it was getting dark. I chose to bring her inside. Silly, I thought at the time. It's a doll. A child's toy. Plastic, fabric and made in a factory no doubt. Not an expensive doll, but what child cares the price of her toys? I felt strange, me who was adult enough to have my own house, bringing a child's baby doll in out of the darkness. What would it matter to a toy? A toy has no soul, no real life. Maybe I should have left it on the porch, to be found tomorrow. But the little girl did not return. Did she forget her doll? Did she forget where she had been? Was she upset when she returned to her own home and realized the doll was gone? I had no clue where she lived, nor did I know who might have a clue. Although most of the families had English speakers in the home, the houses were secure behind tall wrought iron fences, with large dogs in the yards. I never had a baby doll as a child. My mother did not particularly believe in such things. A girl should pursue her own interests; women can have careers these days. We don't need to be attached to a baby when we're only just out of babyhood ourselves, as little girls. I, the serious-minded child, wanted to be a paleontologist. My toys were dinosaurs, model kits, and shrink-and-grow devices. A baby doll? Not in my mother's house, no not mine. The first baby doll I ever touched, in my entire life, was that little girl's toy, left on my porch in the Spring of 2000. Maybe I should have taken it to my Latina neighbor's house. She had a little girl. Maybe she would know who lost it. Or, perhaps, best to leave it as is. Why alert the mothers in the neighborhood when there was no safety issue at all? Not having much experience with little girls (except the little girl within me) nor with mothers, families and their kids toys, I just decided to let the doll stay inside my house until I heard more. And, actually, I never did hear more. Maybe the girl got another baby doll. Maybe she decided to play with other toys. Who knows? Maybe she wanted a career when she grew up; to have a job like I did. I'll never know. Because she never came back to play on my porch. The baby doll I rescued from one night in the dark never left my home. Somehow, when it was time to move to another rental, the doll got packed in a box with the rest of my stuff. I had help packing. I don't remember packing her myself, and when I unpacked my boxes, there she was. Just like when she was left on my porch. I wasn't on the same street anymore. I was not in a house either. I was in a sweet little apartment with a yard, some dirt, and a hose bib. A place where I could let my dog play, grow a garden, and have some privacy. Me, my dog, my stuff...and some little girl's baby doll. A doll that she, apparently, thought so little of that she left her on a stranger's porch. And not just any stranger. A white girl. At this point, the doll couldn't be returned to the old neighborhood. If I didn't know who to talk to then, I sure didn't know now. Although, sometimes, I still drive through those streets in that part of town. It still feels just as nice, just as safe, just as much like I'm a lighter shade of the same families that lived there for so many years. And why not? Am I not a little girl's future child's Godmother? Today I noticed that I've had that baby doll for 18 years. She's not a little girl anymore. She's a woman in her twenties. I'll bet she's a beauty and married to someone who loves her. She probably has a little girl of her own. Maybe a few of them. I wish her well, despite that I didn't ever have kids myself. Because, actually, in a spiritual sense I guess I did have a kid. A little girl. Someone to love. Why I'm Willing to Give Reiki of Money the Benefit of the doubt. Recently I added Reiki of Money to the metaphysical services I offer clients. I offer services to clients from a distance, and also practice it in person for myself and my own use. Wednesday, the mid-point of the week, has been my preferred day to perform Reiki of Money. Traditionally, it's the day of Mercury; an ancient mythological Roman deity associated with commerce, communication, business contracts, and healing. 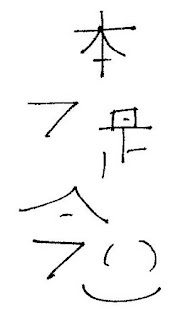 I particularly enjoy performing Reiki of Money alongside traditional Usui Reiki because of the Usui technique's built-in ethics, which appear to help the reputation of the practice. This week, as usual, I performed Wednesday Reiki of Money practice. I awoke the next morning, and checked my Thursday emails. I was alerted to a new transaction with some stocks that I had purchased a few years ago, and which I had been trying to get rid off since 2016. I checked into the trading website, and sure enough all my unwanted stocks had sold. It was one of those rare moments of business ecstasy. YESSSSS!!! I cheered. I celebrated. I was walking on air for a few hours on Thursday. It was a Thursday to remember. A Thursday of Thursdays. It was the Thursday that VBIO's penny stock rose to over $2.00 a share, and I was finally rid of them. Gone. History. I posted on facebook, I cheered on my Reiki of Money clients. And I wondered maybe, just maybe, this Reiki of Money thing might actually work in the real world. I still offer metaphysical services as entertainment, but what if? Why was I so glad to get rid of VBIO stock this week? It's not because I made a lot of money. I made a little money, sure. I didn't sell at a loss, which was my final decision. I never actually bought VBIO stocks. I invested in STVF. Stevia First was a company which supported the miraculous, zero-calorie naturally sweet plant. Why didn't I invest in VBIO, a company involved in cannabinoids? I didn't invest in that because I'm not "into" cannabinoids. I don't even smoke pot. I am one of those rare individuals who don't like marijuana. I honesty don't. Even the people I used to know, who smoked pot at the time, would tell you the same. I don't smoke anything. So how did I acquire over 1000 shares of VBIO? It's because, believe it or not, I invested in STVF; a company dedicated to the growing of the stevia plant and making it marketable to companies that use sugar. At some point in time, shares went down to 30 cents each. So I bought a ton of them, thinking it was so cool at the time. STVF decided not to support stevia production anymore, and changed its stock symbol to VBIO. It also changed the complete concept of the company from stevia production, and using the processes the company learned from stevia production to...yep, you guessed it...supporting that boring, over-talked-about, not-to-mention still federally illegal "Mary Jane". Do you feel that sinking feeling? I know I did...when I tried to get more STVF stock and found that my online investment company no longer recognized the stock symbol. Instead, the online dashboard showed I owned over 1000 shares of VBIO. I didn't know what was going on. Maybe STVF sent around an email...and you know how company emails sometimes wind up in spam. Maybe they didn't send out an email until later. I don't know how to prove whether regular stockholders like me were consulted. Anyway, I didn't have actual knowledge of the proposed change in time to get my money out before it happened. After searching around online to determine what was going on, I saw something on the company website stating that the stock holders had approved it. At first I thought, okay, I guess it's above my head...as usual. I don't really have a huge say in what corporations decide. And then I realized...hey, I'm a stock holder. I didn't approve anything like this. I felt tricked into supporting a company that was lying to me...and to all the other stockholders who, like me, weren't asked for approval in advance. So, there I was, stuck with over 1000 shares of VBIO. I wanted to support stevia production...and I can't stand marijuana. I was, truly, glad the stocks went up to $2 a share for a day. I don't care whether the stocks skyrocket or whether they tank at this point. I don't want to make millions on pot. I do have my standards. I'm just glad I'm out of it. And a little money ahead. Not much. Just a little. Now I have 33 shares of Ford stock. Sure, I'd rather support stevia production than an automobile company, but I do drive occasionally. Ford shares were at a really low price, and I like my Ford Focus. It's a very reliable car. Yes, I know it's not a "green" solution. But, seriously, pot-minded corporations are enough to turn me off green. At least for one day. No forward-looking statements included in the above. Just my experiences and my opinions as a home-based amateur investor. For more about Nosce te Ipsum Research Reports, and how you may order one for yourself, please see my blog post Nosce te Ipsum: Know Thyself. HRH Duchess of Sussex's physical guardian angel is 27 Yerathel. Each of these guardian angels and daemons have certain talents; things they are good at doing. I'll look into that later...now I'm merely gathering information. So, above all of these talented beings are the Archangels...the bosses who take care of business, keep things under control, manage the scene...the parent figures, so to speak. Each Archangel manages a company/family/choir/city/shire...whatever you wish to call it. A definable unit of governance. So the physical element (27) is within the choir of the Dominations, which is managed by Archangel Zadkiel. The spiritual element (15) is within the choir of the Cherubim, which is managed by Raziel. Of all these entities, only her emotional element is being highlighted with a "regular" Archangel. The rest of the crew are more of an elite, non-churchy sort of spiritual being. Let's start with her physical daemon. Some people are absolutely fascinated with daemons, heaven knows why...27 Ronove...online resources state that he is a monstrously unattractive sort of guy who is educated in linguistics and art; a loyal sort who does his best to be friendly to everyone. Don't we all know someone like that? Who might this represent to HRH? Daemons, we are told, have talents, and they are attracted to certain things. I have one (1) daemonic resource; Gallery of Magick's Gordon Winterfield has produced Demons of Magick ("DoM" to followers of "GoM"), which is the only offline daemonic text I reference at all. According to DoM, Ronove is all about charisma and charm; allowing a person to receive and be trusted based on these personality traits. As a physical daemon, these personality traits come into play on the most basic levels of survival. HRH's physical guardian angel 27 is Yerathel. There are various spellings of angelic names, and a quick search online will reveal this. The talents of Yerathel are writing, finding fame through writing and spreading knowledge through writing. In another resource, we also may see Yerathel involved with sociology, philosophy and/or economics. Yerathel represents optimism and open-mindedness, as well self control in difficult situations. career, freedom from enemies, harmony between the divine and the human, progress in communion with others (communion is defined as the sharing or exchanging of intimate thoughts and feelings, especially on a mental or spiritual level), order imposed on chaos, ability to forgive, success, luck in games. I have at least one other resource for guardian angels which gives Yerethial's talents, as Yeret, being an understanding of vows, an ability to make changes and be released from vows, to increase abundance where growth has started and having a sense of personal innate life force. And, finally, the presiding archangel over the physical: Archangel Zadkiel. I have several archangel resources, which I have been exploring for a few months. Stewart Pearce has a particularly lovely book which gives Pagan correspondences for Archangels; his theory is that the Pagan deities were actually an Atlantic priesthood for energies which are termed "angelic" in contemporary theological systems. Therefor, Zadkiel would be conflated with the Atlantic priestess known as Ceres in the Roman system and Isis in the Egyptian system; a very iconic harvest Goddess. Stewart suggests that stones in a turquoise color, for example larimar, may represent Zadkiel. Other gemstones, which may hold a connection to Zadkiel, are suggested as amethyst, clear quartz, diamond, aquamarine, moonstone, opal, tanzanite, topaz (I imagine this would be blue topaz), lapiz lazuli and emerald, which represent Her spiritual ideals. After the fall of Atlantis, according to Stewart, Zadkiel relocated to the north Mediterranean islands, which may be considered Her present area of influence or power base, and Her physical realm is within the 10th chakra of the cosmic heart, which is located between the heart and throat chakras. Zadkiel is classified as a divine COMFORTER by Stewart, who describes Her as a merciful and compassionate nurturer, and the scent of sage incense or use of sage smudging may be appropriate to invite Her energies into a space. Talented healer of painful memories from the past, also healer of illness and/or exhaustion, strongly understands the realities of the present, able move from the present into the future to bring prosperity to specific ventures. I feel this research appears to represent a surprisingly accurate analysis of what we see in the public image of HRH Duchess of Sussex! Her public image clearly shows her as extremely being an charismatic woman who is charming enough to get her way, regardless of what her inner motivations may or may not be. She first achieved fame through writing a letter, after which a major corporation chose to change their advertising strategy. She has chosen a role of comforter in Prince Harry's life; to overcome his past sadness regarding his mother. I had not done this research before, for HRH, yet it's quite a bit easier than calculating the angles, trines, squares, oppositions, planets and so forth of astrological research...and it appears to be pretty much on the mark...at least in this instance. This same type of Nosce Te Ipsum research, which obviously requires some time and care to perform, may be reported at an emotional and spiritual level...which I am not doing for this exercise, as it has less to do with public image, and I actually have other things to do today. I sense this type of research is of great value...for a new mother...or actually for anybody who knows the birth date and birth time of any person of interest. Looking into important dates may be equally valuable: national holidays, for example, or something more personal like the date of a job interview, a wedding or wedding anniversary, or selecting an auspicious date for a rite of passage like renewal of vows. Who could use a little extra boost in the financial department? Reiki of Money is an energetic focus on an Intention for Usui Reiki sessions & practice to include the Energy of Money as "currency flow". So what is Reiki? Perhaps you've heard the Chinese word "chi" or "qi"; a life force energy which is featured in the practices of Feng Shui and Qigong. The teachings of Usui Reiki originated in Japan, where "Ki" may be defined (as compared to to "chi" and "qi") as an Intention to Allow the Flow of Energy, and "Rei" as Spiritual or Sacred. Reiki, then, is a Japanese word for an Intention to Allow a Sacred or Spiritual Flow of Energy. According to the legend, Mikao Usui, the founder of the Usui Reiki, desired to know how the masters of antiquity performed miraculous healing through their hands, without becoming tired or exhausting their personal energy. Usui went on a shamanistic journey for many years, studied ancient symbols, climbed a mountain, fasted, and finally reached enlightenment. Usui received the gift of energetic healing and knowledge of how to teach others this system. And what is Reiki of Money? We see that Reiki is an intention to allow a sacred or spiritual flow of energy. Energy, as current, flows for electric lights and appliances to work. Currency, as money, flows in an activity of giving and receiving. To give, someone must receive. To receive, someone must give. This creates a flow of the energy of money. Reiki of Money, then, is the Intention to Allow a Sacred or Spiritual Flow of the Energy of Money. Because Usui Reiki is the only true form of Reiki, we may say that Reiki of Money is an energetic focus that works with attunement and distance techniques taught at Usui Reiki Master level. Reiki of Money is based on a system created by Stephanie Brail*. You may scroll down to experience her Empowerment of Money Freedom attunement to see if you enjoy this form of energetic currency flow. 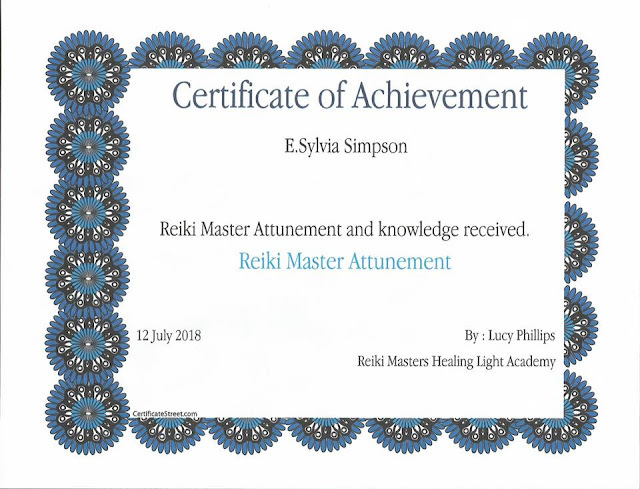 In combination with the techniques provided within Usui Reiki, the Reiki of Money may be received as a distance treatment by proxy through your photograph that you provide. Distance treatments may also be received by proxy through your name and/or your written request regarding money on a piece of paper. This piece of paper is placed inside a special box, which has been activated with a special blend of Reiki energies, and into which Usui Reiki and Reiki of Money treatments are sent regularly. The piece of paper with your name may stay inside the Reiki of Money box for up to a month. If you wish to receive a Reiki of Money distance treatment from me, purchase through the paypal button on the right sidebar of this website. Please remember to send a recent photograph, your name and/or your written request regarding money along with your payment. Reiki of Money is provided for entertainment purposes. Purchase through the paypal button at sidebar to the right. Metaphysical, intuitive and tarot consultations, including and not necessarily limited to reiki treatments, teachings and attunements, are provided for entertainment purposes. E. Sylvia does not diagnose, prescribe, or treat any medical condition. You must be 18 years of age or older. No refunds. The Empowerment of Money Freedom is a free attunement, which is performed by you via self-attunement (see below for instructions). No personal attunements or certificates are provided with the free attunement. Thank you! We live in times where collective money fears permeate the air. 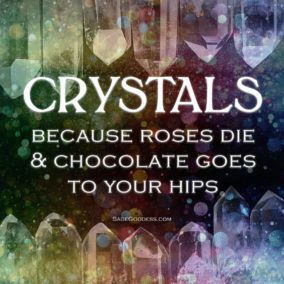 These negative energies can affect us personally, especially when we are struggling or dealing with financial stress. The purpose of the Empowerment of Money Freedom is to help unplug from collective and personal fears surrounding money. By releasing fear, we are better able to connect to spirit and follow our inner guidance, which can enable us to handle our money situation in a more productive way. Attunements can be sent over distance and time, so this attunement is there for you, ready to receive it whenever it is most convenient. To receive the attunement, set aside approximately 30-45 minutes for meditation, and simply ask your higher self to receive the Empowerment of Money Freedom attunement. You may choose to enhance your experience using candles, essential oils, or anything else that creates a sacred space for you. It is a good idea to drink some water after an attunement, and to take it easy for the next day to allow the energies to settle. *NOTE: Please respect the copyright of this manual. You are welcome to freely give out the manual AS-IS without modification. If you want to rewrite the manual in your own words, that is also fine. Feel free to expand upon this system as you feel guided. Please give proper credit, that is all. Thank you. I briefly interrupt my series of vacation-theme blog posts to share an amazing gift package, which was purchased with holiday money left over from last year. Many thanks to the giver of the gift money, as well as to Sage Goddess, who included some nice surprises. Vacation: Let's Visit Tintagel Castle! This is part of a new series of blog posts about travelling on vacation....starting with places I have actually visited before...and looking into fun things to do, places to stay, and, of course, souvenirs! Please remember to come back and click through the advertising banners and links you see in my blog posts when you choose to make a purchase. That's how I get credit or money to help support my blog. 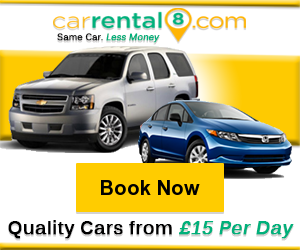 You will also find banner links of my affiliate advertising partners at the right side bar for your convenience. (scroll down) The shops and services I select to partner with generally have good to excellent online reviews. Although I haven't made personal purchases with all of my partners yet, when I do I'll share my honest opinions with you. If you have an experience you'd like to share or a suggestion to make, post a comment below, and come back to my website often. I'll be posting more material soon! As you know if you read my previous articles, my dream vacation has been to take my dogs for a walk at Stonehenge. Because I live in California, this scenario has taken quite a bit of strategy on my part to find a way to get to the destination. The strategies were covered in my previous blog posts, in which I virtually arrived at the Port of Southampton, did some sightseeing and found a place to stay. I have recently started a new job, so I don't have quite as much time to write extensive blog posts as I've have in the past. What I've chosen to do, instead, is to share cool, vacation and travel-related stuff I notice on my partners' websites. Because I haven't necessarily purchased everything I write about, this blog post is not always going to be about my personal experiences. What I will do for you, is share the things I feel may be particularly interesting, helpful or fun for a vacation, based on what I am most attracted to at the time I write. Before I delve into this blog post, though, I must mention that dog friendly does imply some sorts of protocol, and rules which are probably welcomed by other members of the public. For example, dogs should be well behaved, and restrained on a short leash (for example, a six foot leash may be preferable to a long, retractable leash). Some people are allergic to pets, and won't appreciate having a strange dog, no matter how cute or friendly s/he is, jumping up on them or putting muddy paws all over their clothing. Others are frightened of larger dogs, and I must include myself among these. Ironically, since the writing of this dog-friendly series, an incident with a medium sized poodle in my own neighborhood has made me a bit wary of medium sized pets as well. It also put a temporary damper on my typing and blogging activities. No matter how well a pet is trained, I believe that it's imperative to have pets on leash at all times when other members of the public are around. I'm not the biggest fan of unsupervised, off-leash activities, especially when medium to large sized dogs are around kids and smaller pets. Today I am featuring Tintagel Castle as a dog-friendly outing for friendly dog owners; a very magical place I have visited before. According to the English Heritage website, Tintagel Castle is among numerous dog-friendly places to visit. Tintagel, legendary home of legendary King Arthur is (or was, when I was last there) a castle in ruins. The castle site is overgrown with all sorts of lush grassy areas which make the setting something like a wonderful park. The setting, overlooking the ocean, is absolutely spectacular. If Tintagel Castle is anything like it was when I was there, all sorts of people who cater to the tourists may be present, with various sorts of characters and entertainment. People who enjoy taking their friendly dogs, safely restrained on leashes, might be most welcome. Money is a wonderful resource with the power to fuel creativity. With funding, I might built a sacred space on a huge piece of land, the building to be accessed through a choice of direct, semi-direct or labyrinthine paths through fruit and nut tree orchards. The stage (or altar area) would be a huge garden atrium filled with trees, flowers and produce-bearing plants. The services, when they occurred, would be high quality audio with no single human focal point, cult leader or personality. Only the beauty of nature, as cultivated for human appreciation. Last week's blog post was about visiting Windsor castle; a place I honestly haven't visited in person, unlike Stonehenge which I have. An obvious difference between the two places is that one is a monument from the past, and the other an historic residence which provides regal shelter in the present day. If Stonehenge is archaeology, Windsor castle is architecture. Memories of places I've visited in the past are often stronger than experiences, souvenirs, entertainment or gastronomy; despite that all these things are highly marketed to tourists. As a student of a Royal music conservatory overseas, the ambiance of the historic conservatory building is something I still remember with crystal clarity. To this day, I recall climbing six flights of stairs, rising to the pinnacle of the structure for private lessons, because the elevators were reserved for professors. Music and the ambiance of architecture are an exceptionally pleasant combination. I like to believe this blend was the reason I was given a choice to transform from aspiring musician to aspiring architect. At the moment, I'm enjoying a couple of online courses I want to share with you today. These are MOOCS or Massive Online Open Courses that may have a little, or a lot, to do with the architecture. The first course is about starchitect Mario Botta; a European architect whose ideas are shared in videos and text. The MOOC is provided in the English language at the FutureLearn platform. In subtitled videos, the architect speaks poetically with respect to topics of historic structures, strong geometric forms, and a love for warm materials like brick. Despite my appreciation for architecture, and my training as an architect, I am not a technically minded person. With the exception of a fascination with the inner mechanical workings of acoustic pianos, when I fell in love with the beauty of fine architecture my heart was already full of music, the art of writing poetry, and theatrical performance. How many people are lucky enough to discover the perfect math professor in college, after struggling with the topic for about twelve years in school? I don't know the answer to this question. I only know that, had I relied on pre-college math skills to get me into architecture school, it would have been a huge joke. My high school geometry teacher, a divorced man with a chip on his shoulder, taught at a pace just a little too fast for me to follow. I used to dread being called to the board to prove theorems, which made me feel like a lost attorney in a courtroom full of amused basketball jocks. As I recall, "I'll bet you a dollar to a donut" was one of his favorite phrases. Bet a dollar? sure. I'd bet every guy in that class would be laughing hysterically if they knew I were accepted into architecture school. If it wasn't for college math classes, I'd probably be laughing at myself too. Those old ghosts linger sometimes. If only there were a way to prove to myself, let alone a class from the past, that I can understand high school level geometry. And there is. Thanks, Goddess, someone is looking out for people like me. I found it on an internet search. Introduction to Geometry, offered through edX platform. This is a really nice geometry course, taught with lots of interactive graphics, and maybe a gazillion short lessons. You really can take it at your own pace. And, believe it or not, it's fun. I personally recommend both of these courses for anyone who appreciates architecture. And, yes, you can do either or both courses from a hotel room with internet access and a computer. I wouldn't wait too long, though, because I'm not sure how long these courses will be available. That's it for this blog post. See ya next week! Vacation: Let's go to London and Tour Windsor Castle! This post is about leaving Southampton and moving to London, in the next phase of my virtual journey around the UK with my dogs. A look at the Agoda website brings up plenty of dog-friendly accommodations in London, which is also a high energy, central location in the UK. I can type London in the search box, enter the dates I may plan to visit, and press the search button. I'm taken to a page full of a bunch of different accommodations available for the location and dates I entered. From there, I gaze down along the left side bar, where I may select from a nice choice of options. I want pet friendly accommodations, so I scroll down to Property facilities and click the Show more button with a downward facing arrowhead. From there I check the box for Pets allowed. The screen refreshes to reflect my selection. In my example search, there are over 100 pet friendly properties in London. There is also a section called Property types where I can select apartments or hotels. In today's search, I also see several hostels and one bed and breakfast. In my youth, when I traveled throughout the UK with my parents, my family enjoyed staying at castles, and also at bed and breakfasts, both of which were much friendlier than hotels. Guests from different parties would often sit together for the morning meal, family-style, around a big dining room table. Often the bed and breakfasts, back in those days anyway, were run by a family and breakfast menus were not as extensive as restaurant menus. But times have changed, and as Veganism becomes more and more popular, I expect menus will be adjusted to include Vegan meals. After booking the lodgings we'll be staying at in our virtual vacation extension to London, I'll be packing up to leave Vegan- and dog-friendly Southampton. I'll see about getting a rental car that I can drop off in London, after I check into new place where I would enjoy staying with my two small dogs. According to online search, small dogs may be taken around town on The Tube, London's underground rail transit, so I may not need a car once I get in town. Travel rules, reportedly, require pets to be carried on train escalators, which is pretty easy because they are both small and get along well with each other in a shared carrier. After settling in, I can explore any dog-friendly parks, pubs and restaurants that are easily accessible via the underground. One of the first places I want to visit in London will be Windsor castle, which I believe is the official residence of the Queen. Windsor has been in the news lately and is reported to be open for tours daily. As anyone following recent media may know, royalty do own dogs. As a castle guest, however, I would expect this may be one excursion where my dogs will have to stay at the hotel or apartment for the day. I'll be meeting and mingling with everyone else on the tour, gawking at the sights like a typical tourist. Because I haven't necessarily purchased everything I write about, this blog post is not always going to be about my personal experiences. What I will do for you, is share the things I feel may be particularly interesting, helpful or fun for a vacation, based on what I am most attracted to at the time I write. This post is about living a travelling lifestyle that literally supports itself, working from a hotel room for a few hours a day and enjoying a vacation too. Everyone knows that too much of a good thing can be, well you know. Tours with guides are fun at first. Absorbing foreign fascinating history though, in my opinion, is best done with a little down time in between. And how better to spend that down time than working at a job that can be done from a hotel room? There are tons of blogs about how to make money online. I'm not going into the topic of how to make money online because, not being an expert on the topic, I'd just be wasting time. I'm sure everyone has seen ads about "work from home" so you can spend more time with family, go on vacation, and buy expensive stuff you don't need. This isn't about that. I honestly don't know how to make the kind of living working from home that would support an extravagant lifestyle. What I have discovered, though, since my last post is some nice ambient audio from Brain Sync, one my advertising partners whose website claims that just 30 minutes a day will bring outstanding results. Does the audio actually work? It's too soon to tell. According to BrainSync FAQ, If you are working with a particular goal, such as weight loss or attracting wealth, we recommend that you listen to those once a day for a period of 4 to 6 weeks. Since I've had the full audio for less than a week, it will be at least May before I can give the full report on the purchased program. I wrote that post while I was window shopping around at the BrainSync website. I was not offered any discounts or freebies that aren't available to the public before making a purchase, even though I'm a partner. My shopping experience was pretty much the same as anyone else who tried out the freebie and liked it. At the time I definitely wanted to pay for the full version of the freebie program, and noticed a 4 for 3 mp3 special. Anyone who loves a sale will understand how this complicates a simple shopping experience. Instead of just buying what I've tried and liked, I had the chance to get more to like at a nice price. This took awhile because the founder of Brain Sync, Kelly Howell, has been producing this type of audio for literally decades. She has a lot of material to choose from, and it's pretty easy to cross check reviews online. Most of the reviews I've noticed for Kelly Howell and Brain Sync are very positive, across the board. So the rest of this post is about which products I chose to acquire, and how I like them so far. If you haven't guessed already, I did actually go for the 4 for 3 mp3 downloads. There's also a 3 for 2 special with cd format, but then I would have to wait for the cds to come in the mail. I prefer same-day access, and I also like getting to choose one more audio in mp3 format for the same price as the cds. The freebie product, the one I wanted to upgrade, is The Secret Universal Mind Meditation. It has Kelly's soothing voice and lots of affirmations that feel reassuring enough to have in the background as I go to sleep. I also got The Secret Universal Mind Meditation II, which is supposed to work together with the original version. The download for version II includes a music track as well as a guided meditation. Both audios have scientific sounding waves with Greek names like Delta. Version II has both Delta and Theta waves which, according to Brain Sync, are good for falling asleep. Brain Sync also mentions three other waves, with the names Gamma, Beta and Alpha. According the website, these waves are more for waking hours. My goal, then, as a shopper, was to find audio I'd like to have on during the day, ideally when I'm working from home. An easy choice, which I felt might do everything all-in-one, is Brain Power. This is the only audio that has all five of the waves mentioned on it. Brain Power has plenty of good reviews, and is advertised to improve memory and concentration, “Big Picture” thinking, perception, and clarity of thought. Fine with me. So now for the last audio, the fourth of the 4 for 3 special. This last audio was the most challenging to select, for a few reasons. With so many options to choose from, ranging from love, fitness and success, to wealth, spiritual growth and creativity, it wasn't obvious where to start. After a short time out from window shopping, I decided to work with Maslow's classic 20th century needs theory, which places fundamental needs on a more basic level than emotional desires or aspirations for self actualization. The most fundamental need I have, and which many bloggers have, is financial. Just how do I make money to support my lifestyle? My choice, then, would be success or wealth. In many ways, I already feel successful. I have access to the internet, a computer, a website, and other things. I also feel prosperous, which seems related to success as well. In my opinion, a person who doesn't have a lot of money can feel successful in non-financial ways, and may also experience prosperity. Who cannot look into the night sky and see the stars? Who does not enjoy the change of weather in spring? In the purest sense, many of us prosper in so many non-financial ways. So, narrowing this down, my most basic need isn't success. Nor is it prosperity. My most basic need, at a most basic level, is money. Money can't buy love, and money can't buy happiness, but without enough money it's hard to be happy and difficult to place a value on love. Money, in the absence of success or prosperity, is merely wealth. It's not necessarily the wealth of a highly successful or prosperous person, although that would be nice too. In my opinion, wealth is directly tied to finances, and the success or prosperity that is represented by money itself...cash, a reliable paycheck and money in the bank. The Secret of Attracting Wealth and Attract Wealth both have plenty of great reviews. They both use Theta waves, which might be effective for relaxation after work. Attract Wealth While You Sleep sounds good, yet I don't see any reviews for it anywhere online. After thinking about this for awhile, I decided that someone needs to be the first person to review a product. Since I'm basically getting it for free on a 4 for 3 deal, maybe that first reviewer should be me. Someone's got to do it. It's only fair. I've received reviews, and although I'd like a lot more reviews than I do, if there were no first reviewer I wouldn't have a single review to my name. Every person, every product, every service has to start somewhere. With Brain Sync, it's not like I'm in uncharted territory. Most of the product line has good to excellent reviews already. I chose Attract Wealth While You Work. When I work I want to get paid for doing it. I can do lots of work (prosperity) and I can be published online (success). But the bottom line is, am I getting paid for what I do (wealth)? Isn't wealth the reason why people work? Isn't it true that people work to attract wealth? On the other hand, people don't usually get paid for relaxing and sleeping, even though that sounds enticing. Sometimes I do see unexpected e-deposits appear overnight into my bank account, but that is based on work I've done in the past, and it honestly doesn't happen as often as I'd like. And, besides, my evening hours are already allocated to falling asleep with both of The Universal Mind Meditations. I don't want to complicate things. Finally, after exhausting myself window shopping at Brain Sync, I made my purchase. The mp3s took awhile to download, maybe because the files aren't zipped. My four mp3 selections each had up to 60 minutes of audio for listening, pdf and/or audio instructions and a cover graphic, all as separate download files. I created separate file folders for each of the four packages while I was downloading, before reading the instructions, to have it all organized. After the downloads were completely finished and filed, I read the instructions. Then I created three playlists: one to play before I start work, another to create ambiance while I'm working, and one for when I sleep. This is the way I've decided to use the audio, and not necessarily exactly how the instructions suggest. I don't have the time or patience to use headphones. Instead, I want to use the audio as background music rather than as relaxation sessions. At the moment, I'm looping the playlists to repeat throughout the evening, which is how I listened to the freebie over the last six weeks. I'm also looping the day playlist and adjusting audio levels based on my tasking. I like having the audio super low when I'm on the phone, instead of turning it completely off. When I'm writing or doing tasks that don't require audio communication, the sound level gets turned up. So far I'm enjoying the ambient sounds during the day, and I don't notice the subliminal messaging at all. Sometimes, maybe because of the waves used, I find the audio distracting and just turn it off. As background sounds, the ambiance is pleasant and non-intrusive, with slowly shifting musical textures and nature effects. My plan is to continue using the playlists every evening, and during the day when I'm working. After about six weeks of ambient sounds and music, I may write another blog post about my Brain Sync audio experiences. Maybe sometime around the beginning of summer.